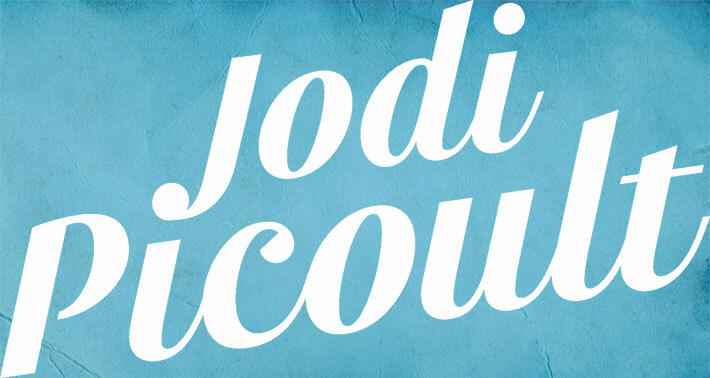 Welcome to Jodi Picoult's Australian website! A woman is caught in a gripping moral dilemma that resonates far beyond her place in time and history in #1 New York Times bestseller Jodi Picoult's latest. The gripping story of a daughter searching for her missing mother - one of Jodi Picoult's most powerful and affecting novels yet. After befriending an old man in her town, Sage Singer is deeply shocked when he begs her for a terrible favour - until he shares his darkest secret with her. In the latest novel from master storyteller, Jodi Picoult, she asks: can evil ever be forgiven? And can murder ever be justified? A life hanging in the balance . a family torn apart. The #1 internationally bestselling author Jodi Picoult tells an unforgettable story about family, love, and letting go. When a teenage boy with Asperger's is arrested for murder, his family face a daunting task to prove his innocence. Jodi Picoult's new bestseller explores the moral dilemmas faced by the parents of a severely disabled child. When faced with the reality of a child who will be disabled, at which point should an obstetrician counsel termination? Should a parent have the right to make that choice? And as a parent, how far would you go to take care of someone you love? A spellbinding tale of a mother's tragic loss and a criminal's last chance at finding salvation from the bestselling author of Nineteen Minutes. From small town New England to the wilds of the Alaskan bush, Jodi Picoult probes the unbreakable bond between parent and child - and the dangerous repercussions of trying to play the hero. Picoult's richly layered and suspenseful novel explores the power of love and memory... what happens when the past we have been running from catches up to us. With her penetrating insight into the hearts and minds of real people, Jodi Picoult's My Sister's Keeper examines what it means to be a good parent, a good sister, a good person, and what happens when emotions meet with scientific advances. An intricate and volatile tale of love and suspense in which an unsolved, decades old murder haunts a small New England town. In Jodi Picoult's eeriest and most engrossing work yet, this is a story about the things that come back to haunt us, literally and metaphorically. In her most soulful and intimate novel to date, Jodi Picoult paints an indelible portrait of a family in anguish. Another fluent and absorbing tale by the author of The Pact, Nineteen Minutes and Plain Truth. Jodi Picoult has touched readers deeply with her acclaimed novels. She is gifted with an ability to make us share her characters' feelings. Jodi Picoult explores the complex choices of the heart for a young Amish woman - and the compelling journey of discovery for an urban lawyer who befriends and protects her. Mariah White is worried when her seven year old daughter Faith adopts an imaginary friend to help her cope with the aftermath of a messy divorce. She's even more worried however when her daughter says this invisible friend is God, and female. In this contemporary tale of love and friendship, Jodi Picoult brings to life a familiar world, and in a single terrifying moment awakens every parent's worst fear: we think we know our children - but do we ever really know them at all? Another thought provoking work by Jodi Picoult whose characters challenge us on moral issues arising out of situations any of us might be faced with. Classic Picoult storytelling - daring us to imagine how far we would go for those we love the most. There is something dark and disturbing behind the picture perfect marriage of anthropologist Cassie Barrett and her movie star husband, Alex Rivers. A study in spousal abuse that will touch your heart from the bestselling author of My Sister's Keeper. A powerful and sensitive novel of family life, which uses five narrative voices to tell a story of love, loss, and self-discovery.